The mythical Roman god Janus was depicted with two faces, back-to-back, pointing in opposing directions; an apposite picture for the god of beginnings, transition and endings. Janus had qualities which should have made him a good investor. After all, he had an inherent advantage over us lesser mortals who struggle to keep the right balance of keeping in mind past precedent when considering the outlook for investments. All too often investors spend too much time looking behind them, failing to spot how things are changing. By contrast, other investors place undue confidence in their forecasts as they look ahead, and thereby make mistakes that could have been avoided by considering the past. So, it is worth keeping Janus in mind, particularly when conditions for investors are difficult with most assets expensively valued and the outlook is cloudy. Here are three observations that we keep in mind to help us keep that Janus-like balance in managing the Hawksmoor Funds. Investors hate uncertainty. The ideal way of dealing with uncertainty is to remove it, and when this can’t be done investors will frequently delude themselves by relying on the forecasts of those they think are qualified to know things about the future they don’t know themselves. However, no one knows how economies and financial markets will perform. Economists are well-placed to explain why their forecasts were wrong, but their outlooks should not be relied on in making investment decisions. The record of the Governor of the Bank of England, Mark Carney, illustrates the foolhardiness of relying on experts. Carney’s record of predicting the course of economic trends such as employment, inflation and growth, and their interaction and effect on interest rates has been so woeful that it has caused him to be nicknamed “the unreliable boyfriend” (in the words of the Member of Parliament, Pat McFadden). In the light of this, we treat all forecasts with scepticism, however well-qualified the forecaster. Instead we try and make investments looking back at established trends that can be projected to prevail through the ups and downs of the economic cycle. We’ve profited from this strategy for our Funds on numerous occasions, and continue to hold investments in areas like healthcare, insurance and specialist property markets that are supported by non-cyclical drivers for growth such as demographic trends and an increasingly populous middle class in emerging markets. These factors should enable our investments to prosper regardless of whether optimism or pessimism is justified about issues such as Brexit, trade wars or the short to medium term prospects for the world economy. Like Janus, it is worth looking back to consider the fallibility of forecasting the future when making investments, but also projecting forward secular trends that most underestimate or overlook. We have frequently born this in mind when making investments, especially when investing requires fortitude. Don’t try and pinpoint the perfect time to buy an investment if your work leads you to conclude it is attractively valued compared with its past valuation and its future prospects. Some of our best investments were made during the Eurozone Crisis of 2011 and in the aftermath of the result of the referendum in 2016 over the UK’s membership of the European Union when it was possible to buy high quality assets at depressed valuations. In applying Solomon’s advice more broadly, we believe investors must embrace a fair measure of risk in order to generate acceptable returns. With cash rates likely to remain below the rate of inflation for a long time it is necessary to accept either a steady erosion in the real value of your investment while avoiding the risk of losses to capital, or to take considered risks to capital to earn acceptable returns. Investors hoping to generate decent returns without taking risk are like those wanting to swim without getting wet! It can’t be done. Successful investment involves accepting some degree of discomfort. When faced with a worrying outlook it’s necessary to balance unavoidable risks with the encouragement that can be taken from looking back to how sensibly valued assets have performed over long periods in the past. Weighing up the attractiveness of investments relative to their history, and assessing that in the light of their outlook are at the heart of our investment process. Judging investment success is childishly simple but extremely hard. Simplistically, it is easy to look at an investor’s results, and to see how they have performed in the past compared to others. This can be a guide to the future, but it is not necessarily so. It is also necessary, but far harder, to assess an investor’s future success. This is something we apply to the funds that populate our portfolios, but appreciate also that is how you, the reader, should be judging us! Indeed, while we take pride in the awards our Funds have achieved, we believe a better way to assess Hawksmoor Fund Managers’ credentials is considering our Funds’ current portfolios. Will they deliver for you in the future? The Scottish writer, Robert Louis Stevenson, probably knowingly sought to expand on the sense of King Solomon’s words in Ecclesiastes when he wrote “Don’t judge each day by the harvest you reap, but by the seeds that you plant.” (from Stevenson’s play Admiral Guinea). This perfectly describes the mindset of the talented investors we seek to back in our Funds. Sometimes a fund’s past performance looks as impressive as a bumper harvest, but we go on to discover that its current portfolio looks arid and barren. By contrast, sometimes unpromising funds judged on past performance have portfolios we assess are set to yield a bumper harvest. So, we are constantly seeking to ensure our portfolios are like a well-tended allotment! We are doing our best to have an on-going harvest by constantly looking to ensure we have the seeds planted to yield crops in times ahead. 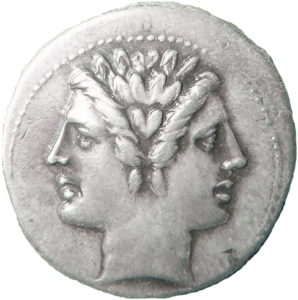 Like Janus, we remain looking backwards and forwards, conscious of the importance of past results, but acutely aware of managing our Funds to deliver good results in the future. This financial promotion is issued by Hawksmoor Fund Managers which is a trading name of Hawksmoor Investment Management (“Hawksmoor”). Hawksmoor is authorised and regulated by the Financial Conduct Authority. Hawksmoor’s registered office is 2nd Floor Stratus House, Emperor Way, Exeter Business Park, Exeter, Devon EX1 3QS. Company Number: 6307442. This document does not constitute an offer or invitation to any person, nor should its content be interpreted as investment or tax advice for which you should consult your financial adviser and/or accountant. The information and opinions it contains have been compiled or arrived at from sources believed to be reliable at the time and are given in good faith, but no representation is made as to their accuracy, completeness or correctness. Any opinion expressed in this document, whether in general or both on the performance of individual securities and in a wider economic context, represents the views of Hawksmoor at the time of preparation. They are subject to change. Past performance is not a guide to future performance. The value of an investment and any income from it can fall as well as rise as a result of market and currency fluctuations. You may not get back the amount you originally invested. HA2737.